Hello! Recently, I re-joined ShopLately's blogger program and they credited my account so I could purchase a few items to review on my blog. 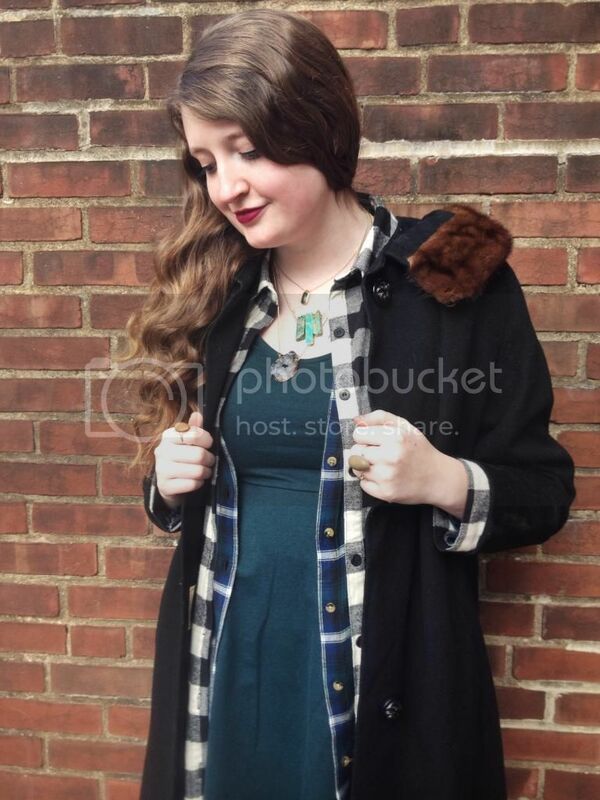 In these photos, I'm showing off my latest piece from ShopLately- the middle stone necklace. 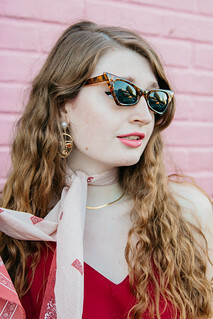 For those of you who have never heard of ShopLately, they are an online marketplace where shops can sell their jewelry, clothing and other accessories. They have an incredible number of designers and brands and such an unbelievably large assortment of jewelry, clothing, shoes, beauty products & accessories. ShopLately is THE first place anyone should browse if looking for a specific style of jewelry; they have a very wide range of numerous styles of necklaces, bracelets, earrings, etc. in styles ranging from trendy to bohemian to minimalist and so on and so on. Additionally, most of the items on ShopLately are priced very affordably. Many of my favorite pieces of jewelry (primarily necklaces) are from ShopLately and are constantly being worn. I've recently been looking for another bohemian, free-spirited necklace to add to my wardrobe so I almost immediately placed this necklace in my shopping cart when I spotted it on ShopLately. This is the "Arctic Dweller Stone Necklace" from Cob & Pen and it retails for $16.50 + free shipping on ShopLately. It consists of three pretty green stones speckled with gold on a simple gold chain. This necklace also comes in blue and red. When I saw my package from Cob & Pen in the mail, my day instantly was made as I was extremely happy to be receiving the necklace. And it did not disappoint. The necklace is even more stunning in person and very good quality. I can already tell that this necklace is going to be worn quite a bit in the near future. 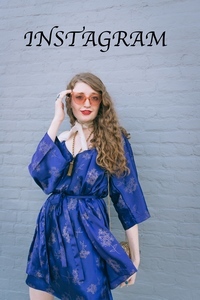 If you aren't a member of ShopLately already, I would certainly recommend signing up and browsing their selection of clothing, jewelry & accessories. If you sign up on ShopLately HERE using your Facebook account, you will instantly earn a $10 credit to be used on purchases of $15 or more. By doing that, you could then purchase the same necklace that I did for just $6.50- now that's a good deal! Additionally, I would suggest signing up for ShopLately's Insider Program in order to receive free shipping on all of your items for just $9/year HERE. ShopLately holds New Arrival events every Monday and Wednesday. Which means that a new arrivals event is happening today! You can check it out here. For this look, I decided to layer my necklace with another stone necklace and then a shorter golden necklace. I love the way that the three necklaces look together. A couple stone rings and simple golden ring were also paired with the look. Again, it was pretty cold outside so my look relied heavily on layering. I started the look with a simple teal dress and layered a plaid shirtdress over it and left it unbuttoned. Over that, I layered a black and white flannel shirtdress, also left unbuttoned. I find the contrast between the blue and green plaid print of the first shirtdress and the black and white checked print of the second shirtdress to be very aesthetically pleasing. 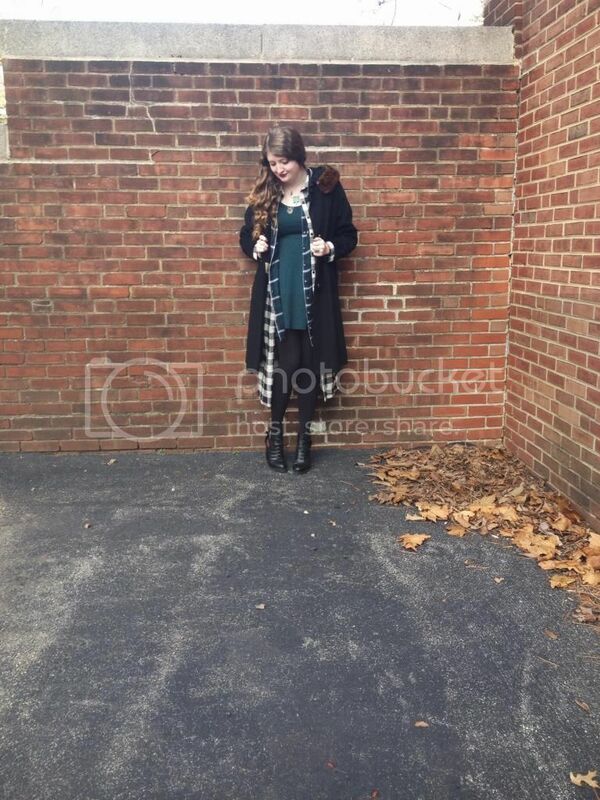 For added warmth, I threw on a pair of black opaque tights and a black vintage coat. Black heeled booties and berry lipstick completed the look. perfect look dear! !love your coat!! 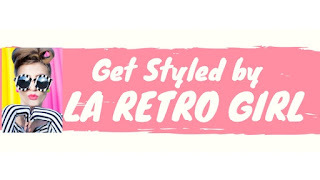 Hi there to every body, it’s my first go to see of this web site; this weblog consists of awesome collection of dresses. You can also check my collection at tbdress.com. Awesome post!really nice post about latest fashion.Thank you for sharing with us. I like your post and I am happy to share this post to my friends.Thank you for sharing this article.